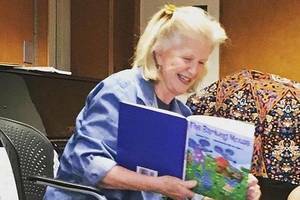 Join Mrs. Wheeless for Mother Goose Morning, a delightful storytime for children age 6 months- 2 years old. Stories, songs, rhymes, and movement. Drop-in, no reservation needed! Free, fun, and a great way to meet other parents and caregivers. First session starts at 10am, followed by a second session at 10:30am. Come for one or stay for both. Únase a nosotros para el tiempo de cuentos en español. ¡Historias, música, rimas y diversión! ¡Todos son bienvenidos! 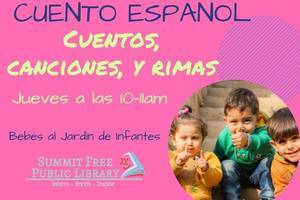 Everyone welcome--whether you are a native Spanish speaker or not--the kids love this hour! Ages 6 months-Kindergarten. Drop-in--no reservation needed!